From The Mobility Resource in 2012. Read an August 2013 interview with Jenni Gold in here in Studio Daily. Gold is the co-producer, co-writer and director. She also used her vast Hollywood connections and researched decades of Hollywood history to tell this important story. Ben Affleck, Jane Seymour, Adam Arkin, Marlee Matlin, Beau Bridges and Peter Farrelly are among the many celebrities and industry professionals contributed their talents to the project. Gold went way back in time to make her movie, discussing Susan Peters, who starred in the film noir “Sign of the Ram” in the 40s after an accident that caused her to begin using a wheelchair. “She was going to be the next big star, so after the accident, it was so impressive that she returned to the big screen,” Gold said. The 60s TV series “Ironside,” starring Raymond Burr, was also a groundbreaking example of the power of images. 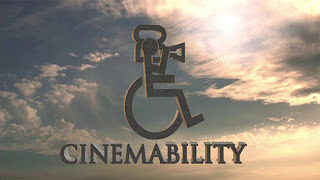 Gold’s movie, CinemAbility, is scheduled to debut in April. Gold is deciding where to have her premiere.